Located on the corner of London Road and Aberconway Road in Morden, Surrey, today a district of south Greater London. It was a prime position, directly opposite Morden Underground (tube) Railway Station, which is at the southern end of the Northern Line. 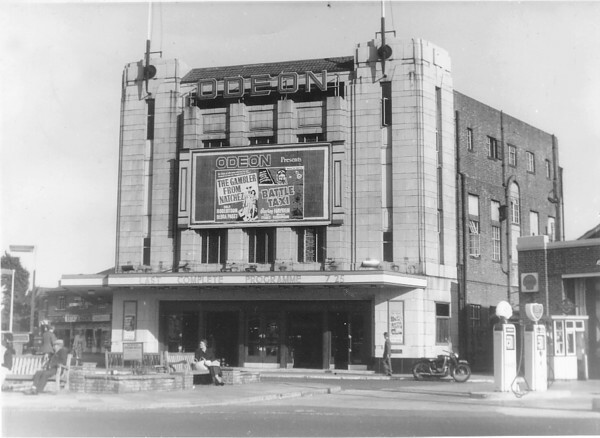 Built for Herbert Alfred Yapp, it was originally intended to be the first of his small chain of Forum Cinema’s in the Wyanbee circuit, but it opened as the Morden Cinema on 7th December 1932 with Gracie Fields in “Looking on the Bright Side”. 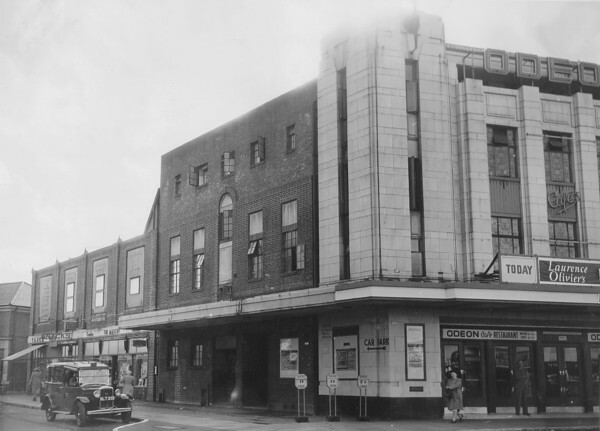 Like the later Forum Cinema’s of the Wyanbee circuit in Fulham Road and Kentish Town, it was designed by architects J. Stanley Beard & A. D. Clare. The Morden Cinema was equipped with a Compton 3Manual/8Rank organ, which was the first Compton organ to be fitted with an illuminated console. The console was on a lift in the orchestra pit and was opened by organist Henry Wingfield. The cinema was equipped with a small stage, which had enough space for variety acts, and there were two dressing rooms. 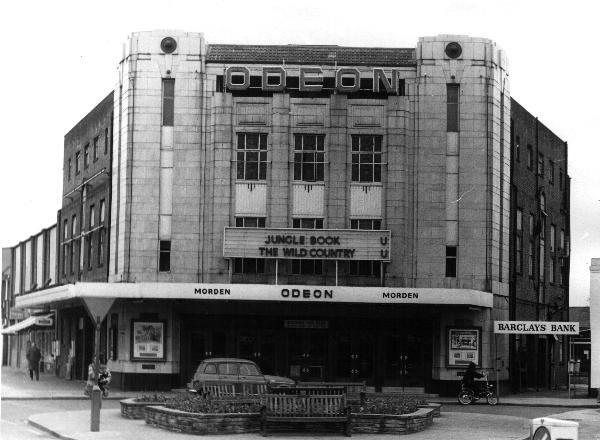 The Morden Cinema also boasted a cafe and a large free car park at the rear which held 300 cars. 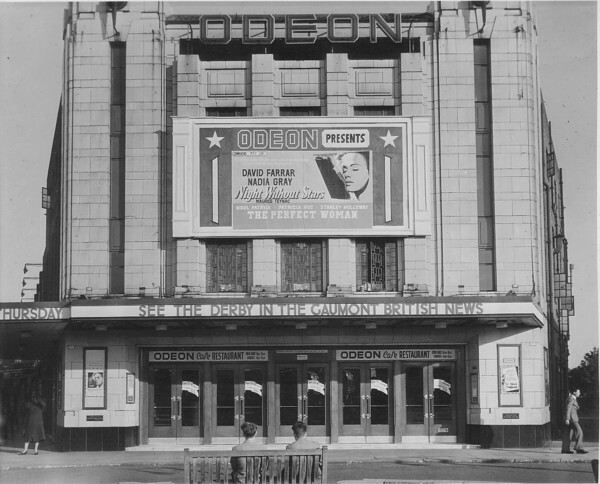 In October 1935, it was sold to the Oscar Deutsch chain of Odeon Theatres Ltd., and re-named Odeon. 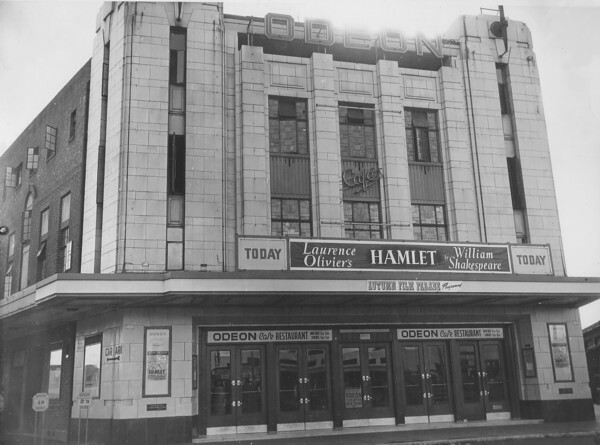 The Rank Organisation closed the Odeon on 13th January 1973 with Sid James in "Carry On Abroad" and "East Side, West Side". After a while, it was converted into a B&Q DIY hardware store. Much of the interior of the cinema was still intact among the rows of wood panels, bathroom and kitchen fittings etc. B&Q eventually moved out of the building and it was demolished in 1990. A pub and shops including an Iceland Supermarket now sit on the site.